One of the challenges that I had when I begun my eLearning career was to find useful and effective eLearning resources for eLearning course design and development. I am fun of Free eLearning Resources and of course Free Educational Technology Tools. 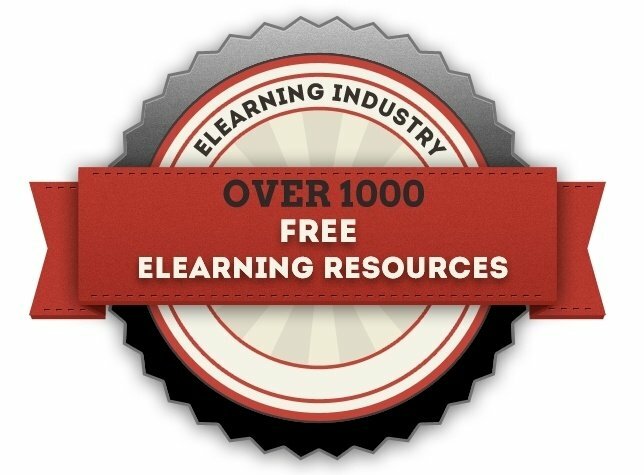 At the following list you will find over 1000 free eLearning resources that I highly encourage you to share with professionals interested in the eLearning field! Several eLearning professionals expressed a great interest for Free eLearning Storyboard Templates. At the Ultimate List of Free Storyboard Templates for eLearning you will find 72 Free Storyboard Templates for eLearning Professionals. The most of the free storyboards for eLearning are in word format and some of them in powerpoint. If you have read any of the following 51 Free eLearning and Instructional Design Books I will highly appreciate if you share your opinion with the eLearning community. 15 Free eLearning ROI Calculators. The first 10 Free eLearning ROI calculators are web based and the rest 5 are downloadable files. 15 Free eLearning Authoring Tools that you can use in your eLearning design and development process. 17 Open Source Learning Management Systems that you can use to deliver to your learners your eLearning course. 17 Free Stock Photos Sites for eLearning Professionals to find free eLearning images, photos, clip-arts or illustrations. Music is an important aspect of the eLearning development. Online teachers, educators, facilitators, instructional designers, and generally eLearning developers are struggling to find Free music for their courses. I hope that with the following 34 Sites to Download Free Music for eLearning Courses I will make your professional lives easier. Facebook cover photo give a high flexibility in how we present ourselves. If you are looking ways to capture the attention of your friends, colleagues, and your online students feel free to use at your Facebook Timeline the following list of 15 Free Facebook Covers Photos for eLearning Professionals. Would you be interested in a social bookmarking site related to the eLearning field? eLearning Tags is an eLearning social bookmarking site where you can discover, share, vote and discuss interesting and remarkable eLearning content! Would you like to have access to a collection of 1000+ Free Video Tutorials for educational and learning technologies? Are you a student, teacher, educator, eLearning professional interested to learn how to use or master educational or learning technologies? I highly encourage you to check Viva eLearning! Would you like to get the Best eLearning News and Articles in your inbox every Tuesday. Are you looking for premium eLearning content, once per week, and spam free? Your answer is eLearning Weekly! There are hundreds of eLearning blogs at the eLearning universe. The truth is that the most of them are waste of time. However, there are some eLearning blogs that worth to spend time and read remarkable eLearning articles. This is why I highly encourage you to check Top 10 Must Read eLearning Blogs. eLearning Infographics supports 16 education infographics categories to quickly narrow down the education infographics that you are looking for. I highly encourage you to check the Instructional Design Infographics, eLearning Infographics, Educational Infographics, Gamification Infographics, and MOOC Infographics categories. Since you did not like the above free eLearning resources... "I am joking... I hope that you loved them!"... Lets have more eLearning fun with the following 259 Free Educational Technology Tools!